Video footage of an Israeli Arab lawmaker berating Jewish visitors to the Temple Mount on Tuesday has outraged Jewish lawmakers, who demanded official action be taken against Balad party chairman and Joint (Arab) List member Jamal Zahalka for his outburst. 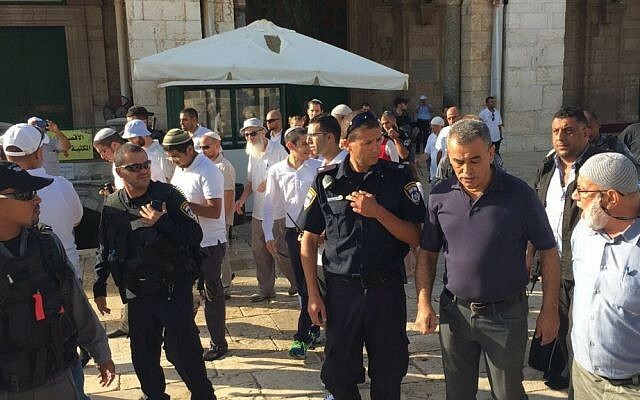 Amid a wave of renewed clashes between Israeli security forces and Palestinians, Zahalka took to the Temple Mount in Jerusalem Tuesday morning to confront Jewish visitors and demand they leave the holy site revered by both Muslims and Jews. Hours after the incident in which Zahalka was seen shouting “This is not yours, get out of here, go home, you’re not wanted,” to Jewish visitors, outraged Israeli politicians condemned the MK for adding fuel to the fire, and urged top officials to expel or prosecute him. 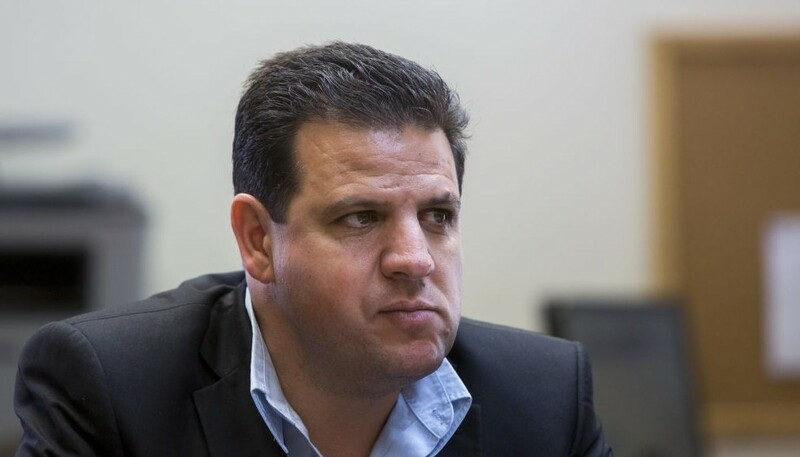 Culture and Sports Minister Miri Regev (Likud) called on Joint (Arab) List Chairman Ayman Odeh to remove Zahalka and two of his colleagues from the party, a political alliance forged between Israel’s four Arab-dominated parties before the last general elections in March. MK Avigdor Liberman called on Attorney General Yehuda Weinstein to indict Zahalka for incitement to violence. 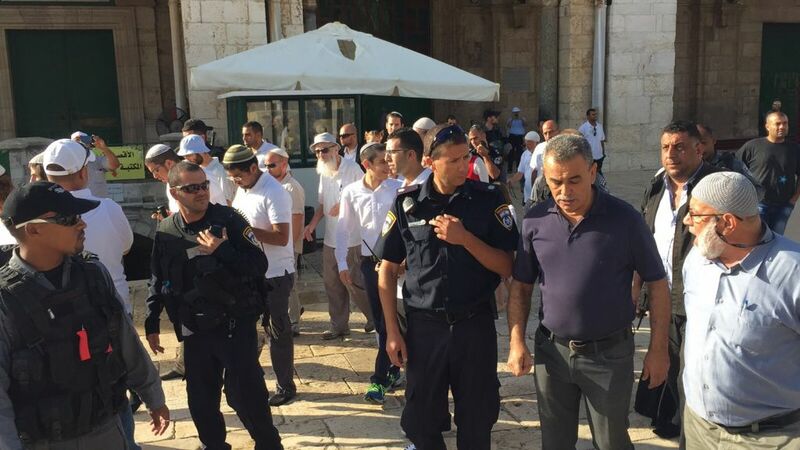 “Law enforcement authorities must act forcefully in the face of this rioting, which is another element of Joint List members’ efforts to inflame the atmosphere on the Temple Mount and harm Jews visiting there,” Liberman said. Agriculture Minister Uri Ariel (Jewish Home), a proponent of Jewish prayer on the Temple Mount, called on Prime Minister Benjamin Netanyahu and Public Security Minister Gilad Erdan to bar the entry of Arab MKs to the compound on grounds of incitement. “I demand that the prime minister and the public security minister immediately ban the entry of Arab MKs to the Mount while also restricting access permanently to any activist who works to foment provocations on their behalf,” he said in a statement. Likud MK Anat Berko called on the Knesset Ethics Committee to investigate Zahalka for his comments. Zahalka issued a statement in response saying he was aware his actions “infuriated the racists,” which is what encouraged him to continue in his campaign. 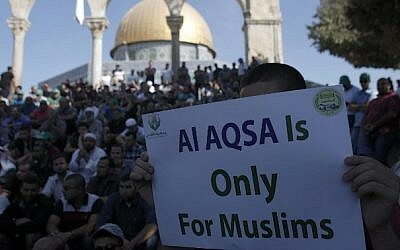 “Al-Aqsa [mosque] is in occupied territory, and resisting this occupation is both a right a moral obligation,” he said in a statement on Tuesday. “Defending its sanctity is also a right and moral obligation,” he added. “We will protest regardless — I’ve said this repeatedly to the Israeli government — we will protect al-Aqsa even if we bleed for it,” he wrote. Zahalka said that he intended to file a police complaint over the hundreds of messages threatening violence he received since the Tuesday morning incident. 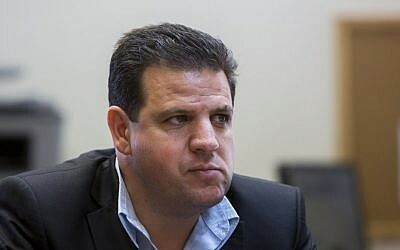 Odeh issued a statement firmly supporting his fellow Arab lawmaker, and said Zahalka’s remarks reflected the position of the Joint List on the issue of the Temple Mount. “The al-Aqsa Mosque belongs to the Muslims, and the only way to defend it is to continue our struggle for the end of the occupation and the establishment of a Palestinian state in the 1967 lines whose capital is East Jerusalem,” Odeh wrote. “It is the government of Israel that is violating the status quo, that continues to act in the service of the settlers in what looks like a conscious attempt to incite and inflame the entire region to a religious war,” he said. Meanwhile, Joint List MK Hanin Zoabi said in a radio interview that Palestinian resistance to Jewish visits to the Temple Mount would not abate in the near future, and compared Israeli policies to those of Nazi Germany. “It’s obnoxious to compare the Muslim demand to protect the right to pray at their site to the Nazi regime,” Zoabi of the Joint (Arab) List said in a joint interview with Likud MK Ze’ev Elkin on Army Radio. “Everyone knows who’s closer to the Nazi regime — MK Hanin Zoabi or the state of Israel and Minister Elkin,” she charged. “As long as there is an invasion — and this is an invasion and not a right — of settlers, extremists and police, there will be a resistance,” Zoabi said. Firing back, Elkin slammed Zoabi’s remarks, saying her ideology was no different to the Nazi doctrine of having areas free of Jews, which he said has become increasingly commonplace. “If, God forbid, Jews visiting the Temple Mount then it’s cause to riot, [and] if police ascend to restore order, then they are the guilty ones,” he said. The site has seen recurring clashes between Palestinian rioters and police for the past month. On Monday morning, violence there erupted anew, with Palestinian protesters hurling rocks, firebombs and firecrackers at Israeli police forces. The rioters also barricaded themselves inside al-Aqsa. Jews are forbidden from praying on the Mount, revered as the holiest site in Judaism and the third holiest in Islam, but can visit the site under police protection.